After their first undercover drug bust at a high school, Schmidt (Jonah Hill) and Jenko (Channing Tatum) are off to college to crack another case. Practically the same case as before, but it works. The movie begins with a death at a nearby college from a drug called "WHYPHY"(Work hard, yes. Play hard, yes) and it's the job of Schmidt and Jenko to solve it. As before, the pair of cops separate into different cliques. Instead of being in the "popular" group this time around, Schmidt ends up following the case with an art major name Maya. Jenko, on the other hand, joins with the jocks. Throughout the movie, Jenko and Schmidt begin question their relationship, paralleling a couple in an actual romantic relationship. Trust me, it's funnier that it sounds. Schmidt befriends Maya and later they begin to date. We soon find out, however, that Maya plays a bigger role in the case. I don't want to spoil the surprise, but you'll be fighting tears of laughter. Meanwhile, Jenko joins the school's football team and begins to feel conflicted. Being a college football player is something he always dreamed of and, as a result, he begins to lose focus on the case. In turn, Jenko and Schmidt's relationship crumbles. This movie is crammed with comedy. 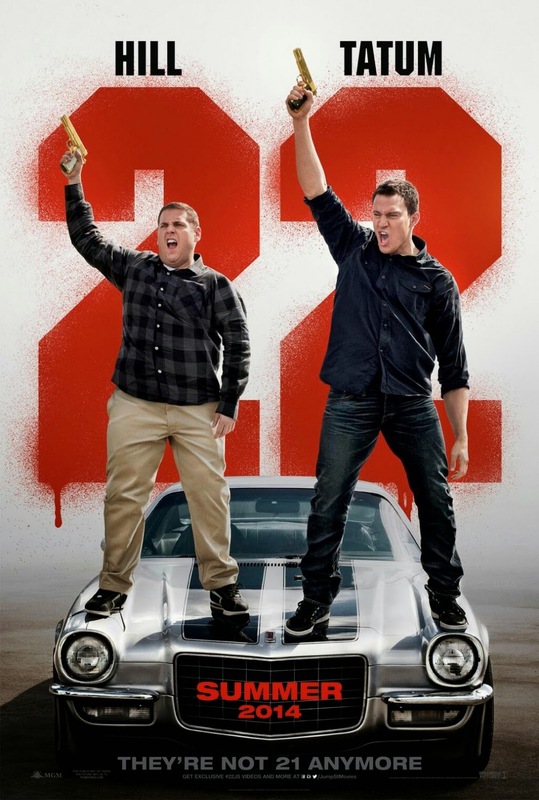 Some scenes are pretty cheesy, but if you loved 21 Jump street, you'll definitely love 22. Jonah hill and Channing Tatum are a comedy duo worth witnessing. Don't forget to stick around after the credits for this one — there are scenes spoofing 23 Jump Street...and beyond.